We can provide everything you would require for your exhibition stand. From a couple of chairs and a desk to PA systems microphones. 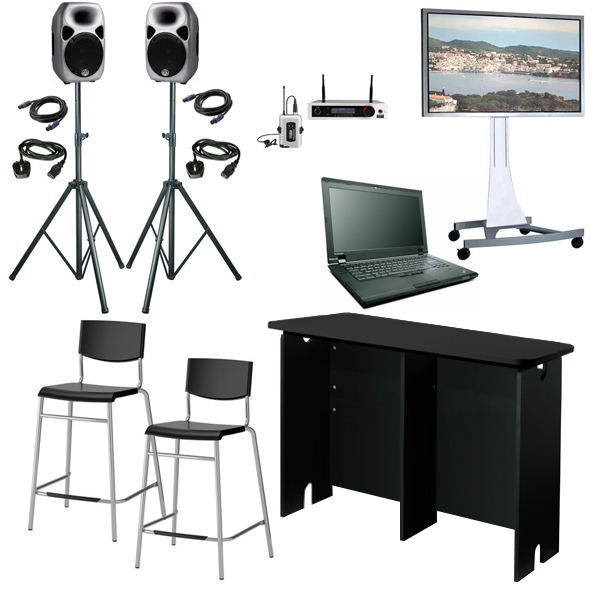 We can also provide you with Laptops and monitrs for showing off your power point presentations in the best possible way.